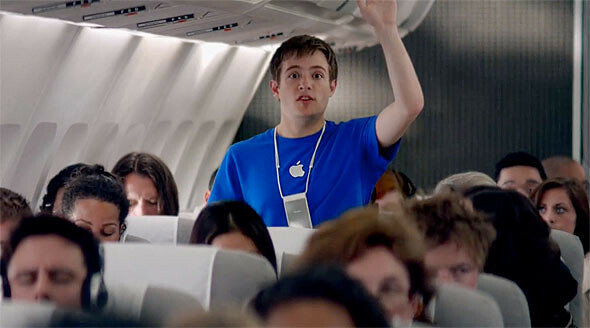 Apple has recently posted 3 new TV commercials highlighting their Genius employees whom can help many of users’ problems with their Macs. These ads were meant to go on TV during Olympics. Watch the 3 videos below. An Apple Genius shows a fellow passenger how easy it is to make great home movies with iMovie. All before the tray tables are returned to their upright position. An Apple Genius shows a soon-to-be father all the amazing things he can make with iPhoto. An Apple Genius points out there are a lot of things that separate a Mac from an ordinary computer, like great apps that come built in.